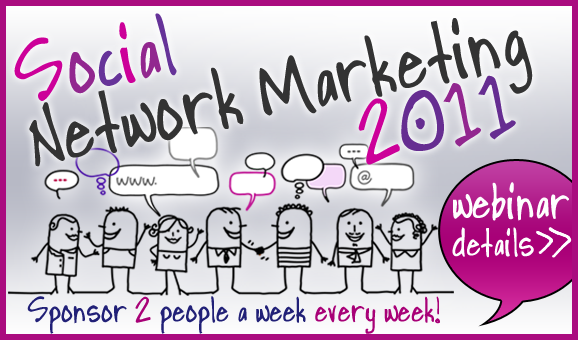 Less talking is more powerful, as you increase your MLM arsenal to succeed and win in MLM and Network Marketing..
Do you realize Listening is a Power that can be exercised and tapped into and with it, you can change lives…including your own? “Doug…Listening is the Million Dollar MLM Skill…..Master it, and you have mastered the Power Core of MLM Communication, Connection, and Caring…found in MLM and the Heart of Success”. When you listen next time with someone…give 100% attention,and don’t let anything distract you…remember…this is their time with you…respect it. 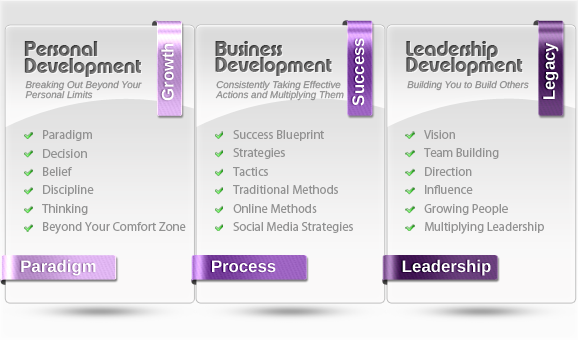 The 4 MLM Direct Sales Factors. 2) A Powerful MLM Body Language… Look in your folks eyes, and lean their way, to show connection. 3) A Caring Focus… Listening starts with the heart. 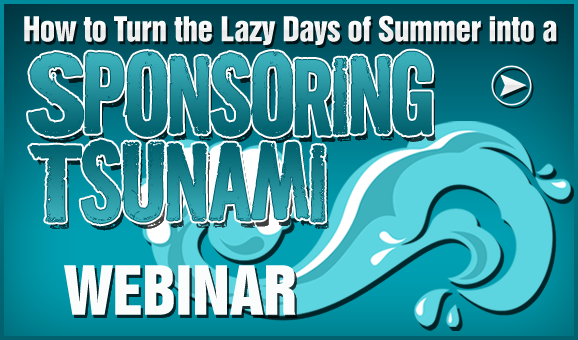 4) A Content MLM focus… Listen for the content, not just the intent… in your Home Business. When you listen, you are… Leveraging & Increasing Success That Empowers Now. Your Listening will Leverage the Power found within it to Increase Success in Empowering the Now in MLM. Absolutely nothing can Empower a situation, a moment, or a person, for Success, like Focused, Magnetic listening. The MLM Million Dollar Skill. But compelled to be a part of it…and are drawn towards it…. ©2011 PassionFire International. All rights reserved. 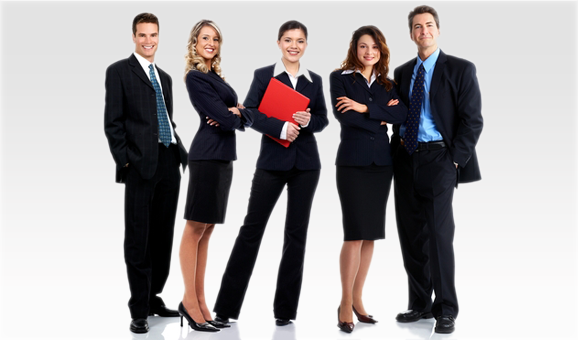 Learn the 5 types of Professionals. Discover unique ways to prospect Professionals. 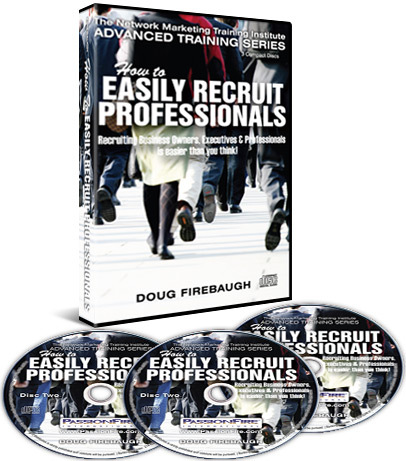 Discover over 25 different ways to approach Professionals. Learn which words to use and which words to avoid with Professionals. Discover the Psychology behind recruiting Professionals. 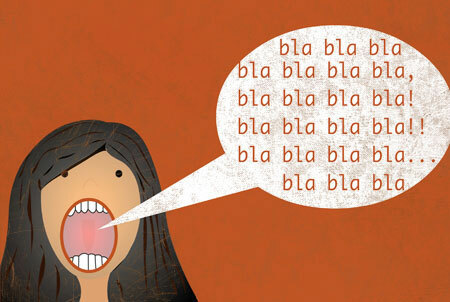 How to neutralize any objection. The Top 20 Objections you’ll get. 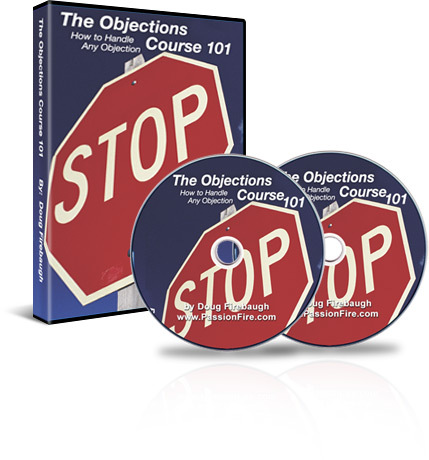 More than 25 Tactics for Destroying Objections. Neutralize the Pyramid Objection Forever!